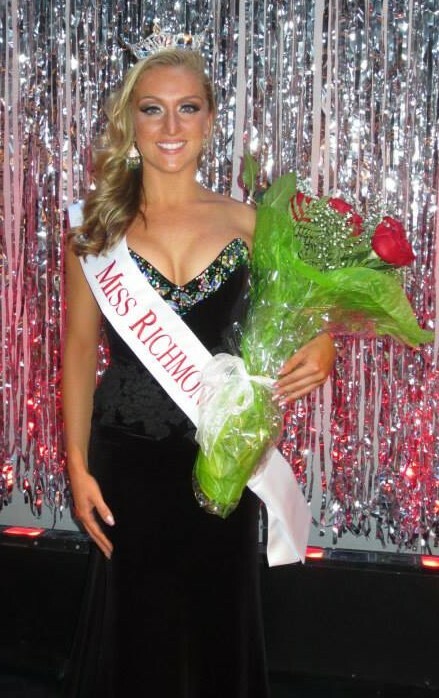 Stephanie Accardo is Miss Richmond County 2012. Wait, I mean Miss Richmond County 2014. Well actually, Stephanie was crowned Miss Richmond County in 2012, and then once again in 2014. She is the first girl to win the title twice. And although she served as Miss Brooklyn during 2013, I think it’s safe to say that her heart is where her home is. Even though Stephanie has competed at Miss New York twice already, she has not made it as a finalist. This year is her 3rd attempt vying for the Miss New York crown, and hopefully the experiences during her first two years will help propel her to her potential. Stephanie was inspired to compete after she learned that her dance teacher was once a Staten Island titleholder. She first fell in love with the talent portion, obviously, but also the lifestyle and fitness category. It was here that she felt most comfortable. But throughout her years in the Organization, her confidence has grown and she now looks forward to the interview portion. She puts in hours of preparation, practicing for the competition. When she isn’t as the dance studio working on her talent, or in the gym working on her fitness, she is often walking in her competition heels–breaking them in and getting acclimated to the extra height. She knows that this prep will pay off, but most importantly she needs to remain positive and always keep focused on the future. Hopefully this confidence will help her after she gives up her title and moves on in her life as a registered nurse. Although she’s already accomplished as a registered nurse, she hopes to continue her education to receive a master’s of nursing. But in the meantime she is filling her calendar with community service and self esteem building events that promote her platform, The Beauty We See. Also, whenever she gets the opportunity, Stephanie tries to give back to those who serve our country in the armed forces. She has many relatives who have served or are serving, so she does her bet to give her greatest thanks. Over the holiday season she attended the holiday party at the VA Hospital, and gave the heroes company as they enjoyed live music, food. Before the next Miss Richmond County is crowned, she hopes to attend a Children’s Miracle Network Hospital, and share joy and laughter with the kids there. No matter what she has done, or what she will do, Stephanie Accardo is doing her best to serve Richmond County and will continue to serve her best come May if she is crowned Miss New York. *Due to the short time until Miss New York, Titleholder Tuesdays will now be posted on Thursdays as well with hopes of posting the remaining titleholders before the State Pageant.